Ensuring that your family has crystal clean water to drink is of upmost importance to us at NeoWaterFilters. We are here to provide you with filters that are effective and cost effective. We offer filters of all kinds whether it is inline filtering or a filtering water bottle. Whatever your filtering needs, we have it and at a fraction of the price. It can be difficult to find the exact filter you need when you have to dig through home improvement stores. A specialty online store like ours answers your specific water filtering needs. NeoWaterFilters has filters that can be installed directly into your piping to protect your kitchen water needs from contaminants. 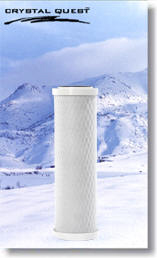 Similar filters can be used for refrigerator dispensers, showers, and personal water bottles. Filtering your water can be a large undertaking or a simple one. It just depends upon your desires. If you are concerned about your water but don’t know where to start, try a water testing kit. Water test kits are available to test your water generally or for specific contaminants. You can test your water for arsenic, pesticides, radon, or bacteria. A good place to start is with a general kit. Once you have determined that your water needs filtering (most tap water does), you can begin to come up with a plan of attack. Your drinking water is not the only water that can harm you. A twenty minute hot shower can release toxins that are as harmful drinking a gallon of tainted water. Filtering all water used by your family is important. Neo Water Filters offers inline filtering which places the filter in your piping system. It filters the water before it comes out of the tap. These can be installed anywhere water is in use in your home. Other systems are installed right at the source where the water enters your house to filter all water that comes into your home. You may want specialized equipment available from NeoWaterFilters to filter your water even further. Reverse osmosis systems can get your water to the quality you want. These can be under sink devices or can be installed near other filtration devices where water mains enter the house. Water coolers can be another solution to the drinking water in your home. These supply the water of your choice for all your drinking and cooking needs. They also cool the water so it is always ready for drinking. 2006-2019 © NeoWaterFilters.com All rights reserved.